Definitely take this course if you want to deal with broken Quizzes and grading. The material is straightforward but basic. The instructor is clear and concise. The automated grading of the first Quiz is so horribly broken that I had to drop the course. What's the point; I can't be bothered to wait to fix the course when I could use my time to focus on a much more difficult, thorough, tested, and complete course: MITx 6.00.1x. This course might be suitable for a beginner - next time they run it and fix the grading problems. If you can take a beating and want to learn Python, I suggest punishing yourself with a very serious course: MITx 6.00x. if this course is not avalible then i am not able to learn python.i salute you sir. wonderfull course. if you want to start learn python this course is best for you.again thanks edx team. I loved this course very much, but it would have been better if the course videos would have been able to download for future references like in other course. One of the best python courses I've been through. The approach, exercises, quizzes and the instructor everything is up to the mark. Recommended for beginners!! Great course...kept me on my toes each week! Intense...way different than typical MOOC. Challenging! Hard! I would take it again. It had been 8 years since I had used Python in the workplace. The presentation is clear and succinct. Every effort is made to anticipate and avoid ambiguity. This course is much clearer than the MIT course on EdX. I have had no problems with the grading not working, but I do have a problem as whrn you are stuck on an assignment there is little help. I would , however, recomment this course if you want to learn the basics of Python. The course is well written and the instructor explains very well for beginner to understand - concise, compact, well expressed. I am looking forward to taking his next Python class if it's available. Excellent! The professor is very clear and didatic and have a good acent yet. Thanks professor. 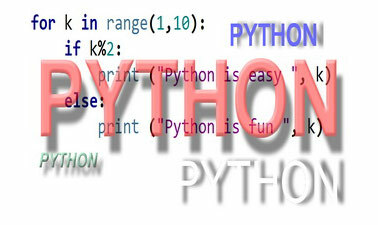 Even if you know about programming, but don't know python, this is a great course. I too have no prior knowledge of programming. But I know the future requires understanding this subject. I will do my best to keep up, and stay interested. So far my collective EdX experience has been very good. I hope someone like me with no prior coding or scripting language experience will be able to keep up in this course. I am really looking to get my feet wet with programming and someone suggested i begin with python rather than a older language like c where you have to worry about memory management.Looking forward to whats in store. Hi, I am seeing that Python is getting accepted in many domain of computation, say it machine learning, data analysis, bio-informatic, robotic, IoT etc. I am using python from last 2 years and registered again to have a better understanding. Looking forward for this course. Hi Professor Farhad, I'm glad to be here as your nation. I'm geological enginner and have seen Python in the background of some softwares. I think I have to know about it. Hope you do it well for us.